Photo 090. The Bismarck in the Elbe River. 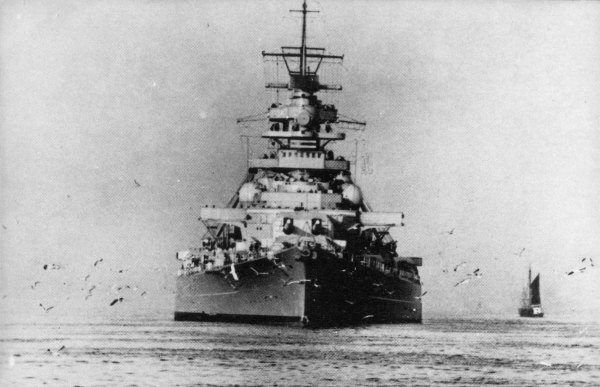 The Bismarck in the Elbe River on 9 December 1940. Note the opened wings of the bridge.